As the world population continues to increase while arable land and most other natural resources continue to decrease, and as our environment becomes further congested and stressed, the methods for growing plants effectively, safely and in a sustainable way will become one of the most basic necessities for feeding the hungry billions of our increasingly overpopulated world. Protected cultivation, both in vegetable growth and floriculture, enables growers worldwide to have strict climate control, increasing yield and quality. It allows the growers to grow more with less while still keeping an eye on quality, food safety, reliability and sustainability. Precision irrigation helps the grower tackle the reduced availability of fresh water by delivering the water and fertilizers in a more precise and efficient way. Although today less than half of the hydroponic production systems worldwide are closed recycling systems, this has to be the future as it allows the growers to recycle more than 95% of the water used and reduce fertilizer wastage. However, most growers these days are still hesitant to switch to closed recycling systems because of the risk of diseases being spread through the water. Using a good disinfection program can help to prevent this. Increased awareness among consumers in combination with strict regulations are increasing the demand for a ‘clean and green’ produce. Crops will have to be grown with less use of pesticides and fungicides. The development of alternative ways of managing pests and diseases (e.g. IPM, Integrated Pest Management) is crucial. 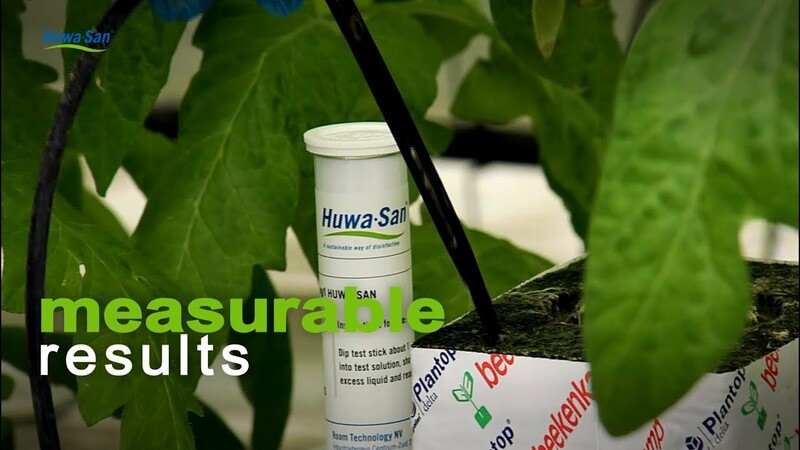 In combination with good hygiene management of water and environment, this will help the growers to deal with diseases of viral (TMV, CMV, …), bacterial (Agrobacterium, Xanthomonas, Erwinia, Clavibacter) or fungal origin (Fusarium, Phytium, Phytophtora, …) in a more sustainable way.